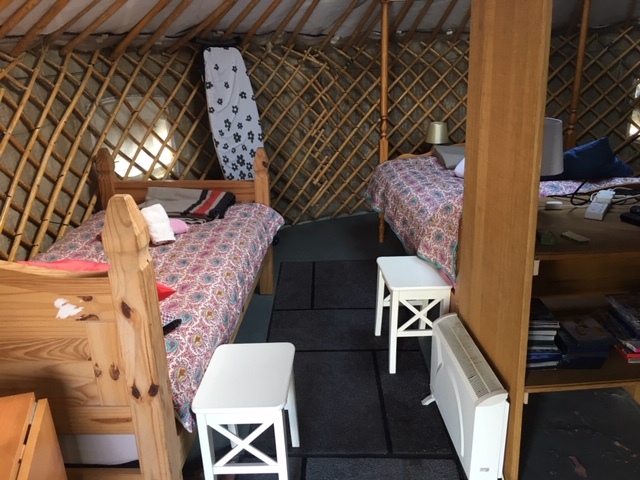 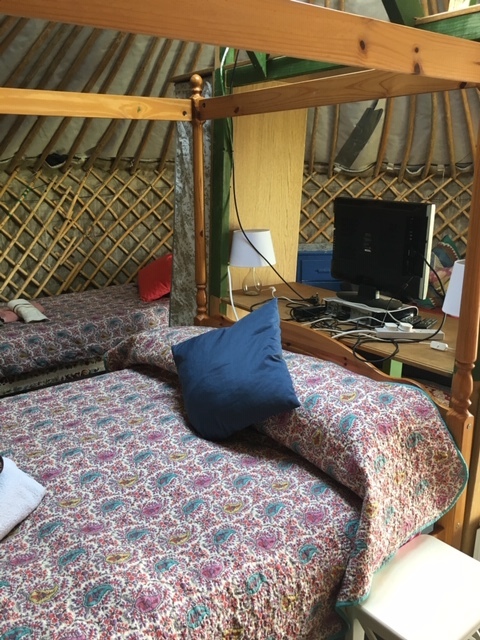 The yurt is six meters in diameter and lined with genuine Yak hair. 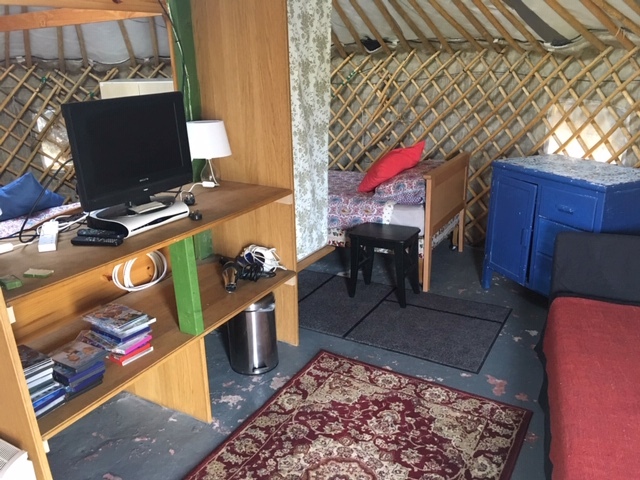 It has a double bed and two single beds, sofa, table, TV and it has its own separate shower, toilet area and private kitchen. 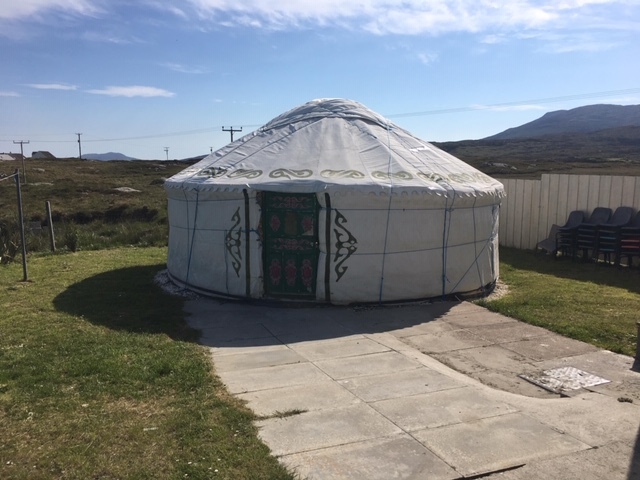 Price is £50 per night.